You wouldn’t buy a new house without seeing it first right? So, why purchase a car without taking it for a test drive? You may have spent hours researching cars online to determine the best model for you (which we encourage), but you still need to make sure you feel comfortable behind the wheel. At Keyes Honda, we encourage everyone to not only take their dream car for a test drive, but to at least test drive two additional models as well. After all, a car may seem great until you drive another one that’s even better. We also have a few more tips to help make your test-driving experience as beneficial as possible. There are just a few things to keep in mind. -Special Technology – Does it have the technology you need to feel comfortable with a new car? While oftentimes features and controls can be overwhelming during the test drive, you still want to make sure everything you need is there. Then, you can learn them in time. 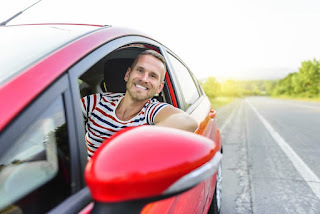 -Safety Options – How safe is the vehicle you want? Do you need newer Driver Assist technologies? How does it stack up safety-wise to other models you’re interested in? -Driving Conditions – You may notice all new Honda models are easy to drive around our dealership parking lot. However, which one has the get-up-and-go you want for your daily highway commute? Which one can you easily parallel park on your busy neighborhood street? It is a test drive after all; we encourage you to really get out and drive it. Ready to see if your favorite vehicle is also your favorite to drive? Visit our Honda dealership near Los Angeles, CA to get out on the road with it. We’ll see you soon!